Yesterday, or was it the day before… hm… I can’t really remember now. The day before seems most likely though… Anyway. I learned how to line up seams while piecing my quilt blocks!!! YAY YIPPEE!!! YAHOOOEY!! Sorry. Sorry. Yes I know. I cannot contain my excitement! But here’s why. I have been piecing quilts on and off for a FEW YEARS, but it is only NOW that I managed to make my seams match. It’s incredible! Also a little disconcerting that it took me so long… See, I had learned about nesting the seams and pinning and such before, but the day before yesterday the stars aligned, the heavens opened up and, I UNDERSTOOD. As I was sewing together this quilt (the completed quilt is HERE by the way), I finally figured out the trick. Now, there are likely millions out there who know this trick already. If you’re one of them, you may click away and come back when I’m sharing something worthy of your time. If you’re just learning (as I seem to be), you can stay. Are you ready? Line up the seams and then pin directly through the seams or as closely as possible to them. As it turns out, you can teach an old dog new tricks. Correct your history books and cite this day as proof. I LEARNED SOMETHING, TOO. Sorry to shout, but I could't resist! In all my quilting, I have never pinned my seams this way, but I'm gonna start. Thanks for posting! I don't know exactly what you mean about the quilt (even if your illustrations are very clear), but I'm happy for you! Your perfection is incredible! I do this too, otherwise the presser foot can cause the seams to shift a bit. It's a great tip! 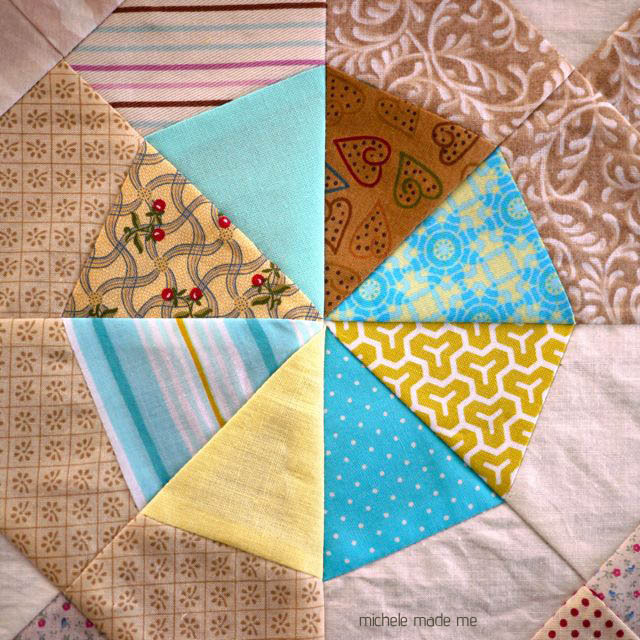 Oh.. this is going to be a precious tip I'll save for when (if I ever) I start quilting!! The quilt is gorgeous and the seams impeccable! Tremendous job on the pinning. ha ha – good to know. I have quilting on my list of goals for this year and the year is nearly half over so I better get to it. This tip may put me into the positive category. Brava!!!!! (I'm even clapping my hands)!!!!!!! Just pinned this as I've been having the same issues. Isn't it great to have these little bits of inspiration flood in? I love the light it brings. I am not advanced enough (yet!) to take advantage of this brilliant tip – but I will some day. In the meantime, I must tell you that your illustrations are fabulous! I suggest doing this often as a feature of your blog, it's a great addition! Bless your heart! I can see how it would work now….but would never have thought it through without you lol Thank youy so much! Oh man, why didn't i think of that? Thank you…i'm gonna try it today! Thank you, thank you, thank you…. I was looking at this idea from a different blog but it was too confusing to understand… your simple drawings are perfect!!! Can't wait to try it out!!! 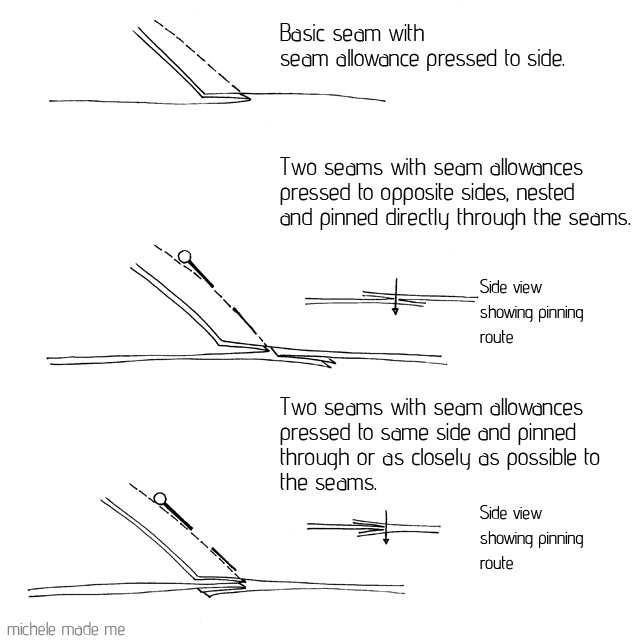 I just found your post after searching and searching on how to get all my seams to line up correctly!!!! I just tried it and it works!!!! Thank you so much for the post. I have tried several different suggests and none have worked as well as this one!!!! 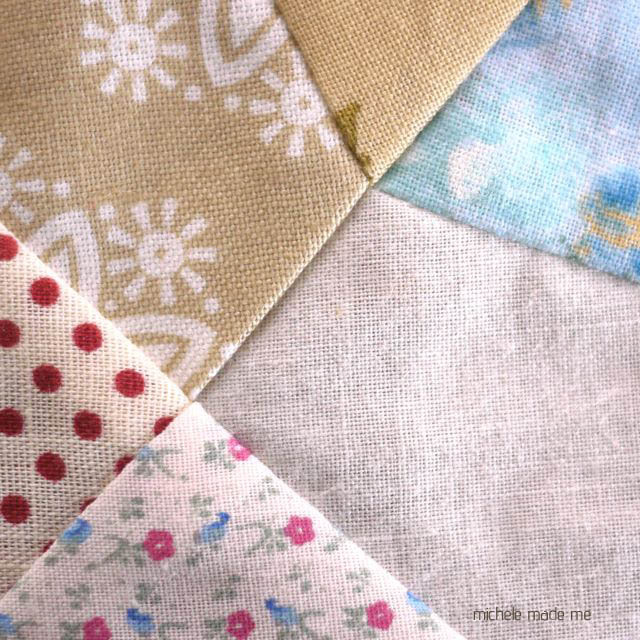 tutorial, thank you from a beginning quilter! Thank you for this post! I googled "I can't get my quilt blocks to line up" and your post came up. I can make blocks just fine, but when I put them together they don't "fit" (even after blocking). I think this tip will do it! Thanks so much! I'm new to quilting and I like to keep into my new endeavors with both feet. I am just working out the details of my second quilt and this tip will come in very handy. Great tip. I will have to try it on the next quilt I piece! Thank you so much. I can't wait to try this when I get home from work. Don't know why I didn't think of this before. Makes perfect sense. Yay! You have saved my quilt. It's a 9 patch matchy matchy thing and the seams kept slipping and that was me ripping out yet another seam. Thanks for the post! OMG….it works!! Thanks for the tip!!! 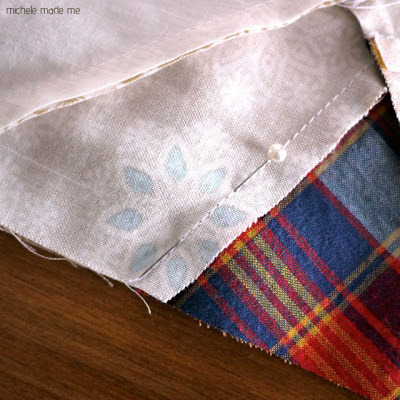 I learned this technique from a sewing teacher many, many yrs ago. It really does work! Thank you so much! I have been struggling trying to figure out what I am doing that is not matching the points and it is bugging me. I will sure try this out too!!! You have seriously made my life so much easier. Bless you!